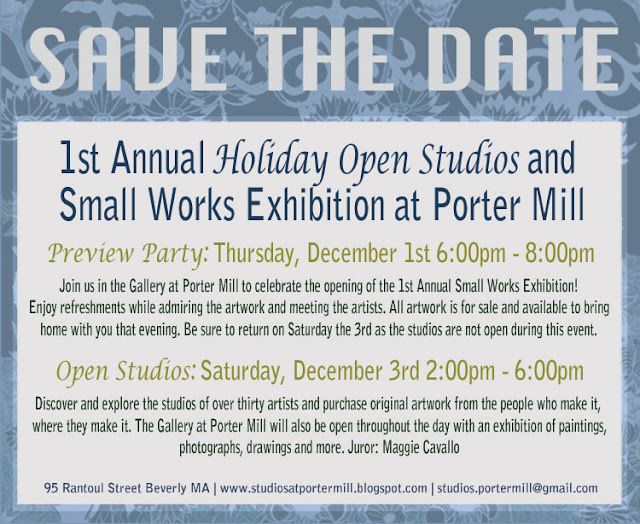 We hope you will join us to help celebrate the holidays and support the local arts! 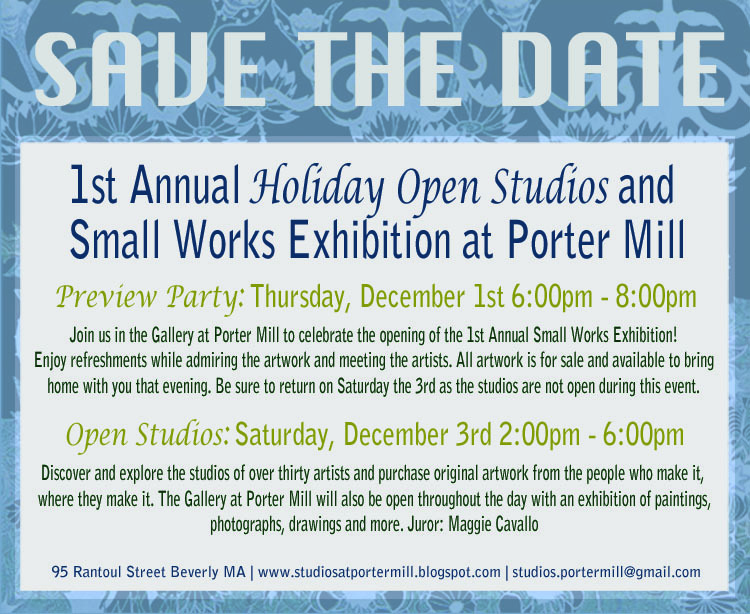 The thirty artists at Porter Mill will open their doors and invite the public in to see their latest creations and to ask questions. If you would like to submit work to the Small Works Exhibition, please click here.